Katrina L. Rinne, PT, DPT, graduated from Washington University in St. Louis School of Medicine with her Doctorate in Physical Therapy in 2015. She was driven to pursue her doctoral degree after a decade of experience teaching private Pilates and therapeutic movement to various populations including ballet dancers and recreational athletes of all ages. 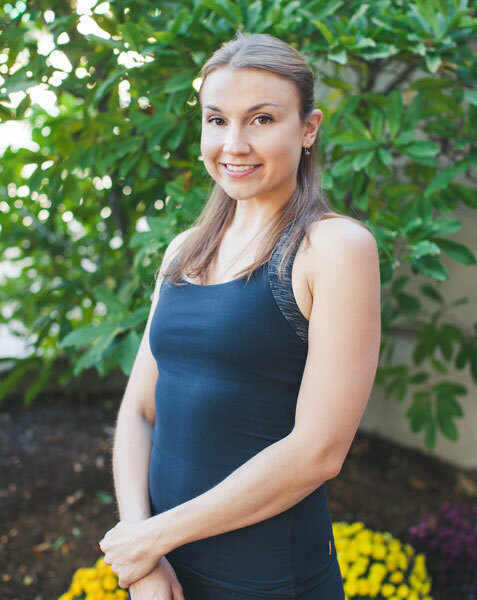 Katrina holds two comprehensive Pilates certifications from STOTT Pilates as well as Balanced Body University and her early training in the classical Pilates lineage greatly influences her knowledge and connection to the body. Clinical experiences during her graduate program allowed her to gain hands-on experience in dance medicine, general orthopedics and post-operative protocols for the spine. She also interned at Istituto Prosberius Tiberino, a renowned facility in central Italy for the rehabilitation of neurological diagnoses. Upon graduating from Washington University in St. Louis, Katrina spent three years in Telluride, Colorado where she gained valuable experience in manual therapy and outpatient orthopedics, working with high-level athletes and world-class orthopedic surgeons. She is passionate about facilitating her clients in discovering the subtleties of the body that allow more efficient movement to occur. As a physical therapist, Katrina uses the movement impairment model developed by Shirley Sahrmann to diagnose faulty movement patterns and treat the root cause of her patient’s pain and discomfort. Katrina believes that life-long learning is essential to human growth and potential, furthering her knowledge through continuing education in orthopedic manual therapy, energetic, as well as movement modalities. For many years Katrina has received advanced Pilates mentorship under master teacher Cara Reeser in Denver, Colorado who carries on the lineage of Kathleen Stanford Grant, a first generation student of Joseph H. Pilates. Katrina also draws upon energetic body processes, visceral manipulation and myofascial techniques to unlock stress and trauma in the body. Katrina currently holds state licenses to practice physical therapy in both Colorado and New York. She believes that truly listening to what our bodies are telling us is the key to the process of healing.